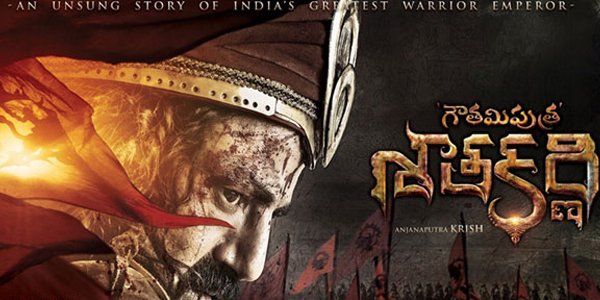 Nandamuri Balakrishna’s highly respected 100th film Gautamiputra Satakarni shooting is progressing swiftly. The historical movie is presented by Bibo Srinivas, produced on First Frame Entertainment banner by Y Rajeev Reddy and Jagarlamudi Saibabu while National award winning Krish is the director. the information with press on commencement of Gautamiputra Satakarni new schedule in Georgia from July 4th. A massive war sequence which comes in climax of the film will be shot during this brawny schedule. Satavahana soldiers will fight with Greeks. These hefty battle episodes are to be canned in scenic locations of Mount Kazbeg in Georgia, very close to Russia border. 1000 soldiers, 300 horses and 20 chariots are to be used functionally for presenting the grandeur in climax. Balakrishna is expected to travel Georgia in next two days. “We planned the schedules in perfect way. First schedule shot in Morocco comes during the interval. Second schedule successfully wrapped in Hyderabad in an expensive navy vessel setting is a part of movie opening. Third schedule to be held in Georgia will complete the crucial climax. Magnificent CG will be blended with these live scenes to intensify the effect,” director Krish said.